After a long winter season with continual blankets of snow and ice sleeping on the ground, the warmth of spring is finally waking up the soil. Seas of grass are rising in front yards and eager blooms are curling upward toward the sun. Like careful, measured areas of hope, fresh garden plots are starting to appear in back yards. These gardens—and the work that goes along with them—mirror what should be happening in our middle schools. Critical and basic actions are needed to make gardens flourish, and if we want to see the same kind of sustainable growth for every student in our classrooms, we also need to plan, till, sew, and constantly nurture our educational gardens. Play: Is it Becoming Extinct? Think back for a moment to when you were a young child. What games did you play? What things did you play at school? Do you remember your parents telling you to "go play?" I remember riding my bicycle, roller skating, getting together with the neighbor kids to play hide-and-seek, and Barbie's of course were my favorite! Today if a parent were to say "go play," would children know how or what to play? Are we allowing children enough play time to develop appropriately? Is play really play anymore? This article discusses how physical, imaginative, and free-choice play is almost non-existent and how teachers can ensure play in their environments and in the child's home. ED Pulse Poll Results: Does More Recess Increase Academic Learning? 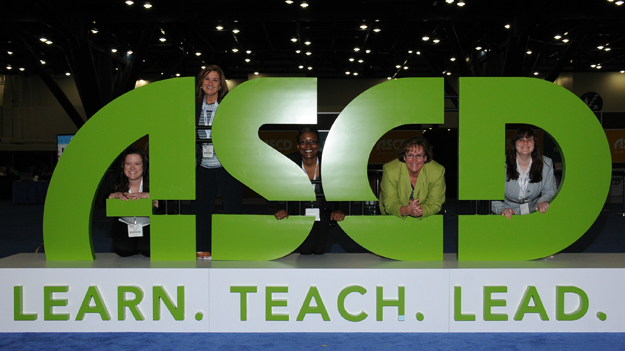 ASCD continually seeks to provide solutions to the challenges that face educators of all levels. Recently the ASCD SmartBrief ED Pulse poll addressed the debate about recess in elementary schools. As a coordinator of science for a number of districts in the northern suburbs of New York City, I have the opportunity to work with schools with a tremendous array of needs. For some, finances are the primary culprit in educational challenges they face. In others, high populations of language learners or mobile student populations make it difficult to provide for each and every student. In still other cases, a combination of factors makes meeting student needs an uphill battle. What's the common denominator? 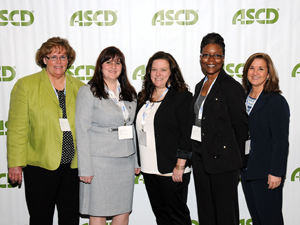 That every district, especially in today's educational climate, is facing drastic challenges. What's different is how districts and schools are dealing with those challenges. Are they embracing and working through them? Or are they brushed under the carpet, in hopes that "magical thinking" will take care of everything? In an effort to increase physical activity levels of all American youth, the U.S. Department of Health and Human Services today released the report, Physical Activity Guidelines for Americans Midcourse Report: Strategies to Increase Physical Activity Among Youth (PDF), as a five-year follow-up to the 2008 Physical Activity Guidelines for Americans.